The Tuscany world championships may have concluded last weekend, but the cycling world’s attention remains focused towards Italy as Il Lombardia – the fifth and final monument of the season – takes place on Sunday. Unlike the four other springtime monuments, this one takes place at the backend of the season. Up until last year, ‘The Race of the Falling Leaves’ was recognised as the final major race on the calendar, but the leaves adorning the roadsides are no longer quite as brown since the race was moved forward last year. As a result, the race attracts more big names fresh from the world championships, who had in the past been put off by the long wait between the two races. No disrespect to 2011 winner Oliver Zaugg, but no doubt the race switch in the calendar was made in the hope of ensuring big name victors every year. 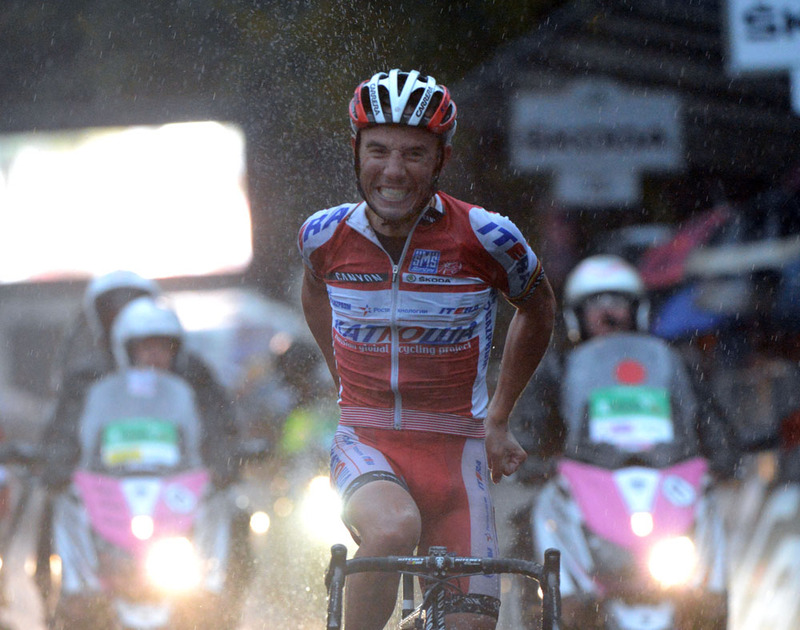 The organisers got the star winner they wanted last year when Joaquim Rodriguez rode away from the rest of the field in what was a very competitive, rain-drenched race. In trademark fashion, the lightweight Spaniard attacked just a few kilometres from the finish line on the Villa Vergano climb, and held off the group of chasers by nine seconds, with Samuel Sanchez (Euskaltel) and Rigoberto Uran (Sky) finishing second and third respectively. The drama of that race was heightened by the torrential rainfall – which led to a total of 143 withdrawals – and the forecast for this year’s edition is similarly wet. With regards to Italian races, this has been a year characterised by extreme weather; Milan-San-Remo had riders suffering in literally freezing conditions, the Giro d’Italia was relentlessly cold, and the men’s world champs road race in Florence witnessed hours of rainfall. It seems only apt that the Tour of Lombardy should follow suit. 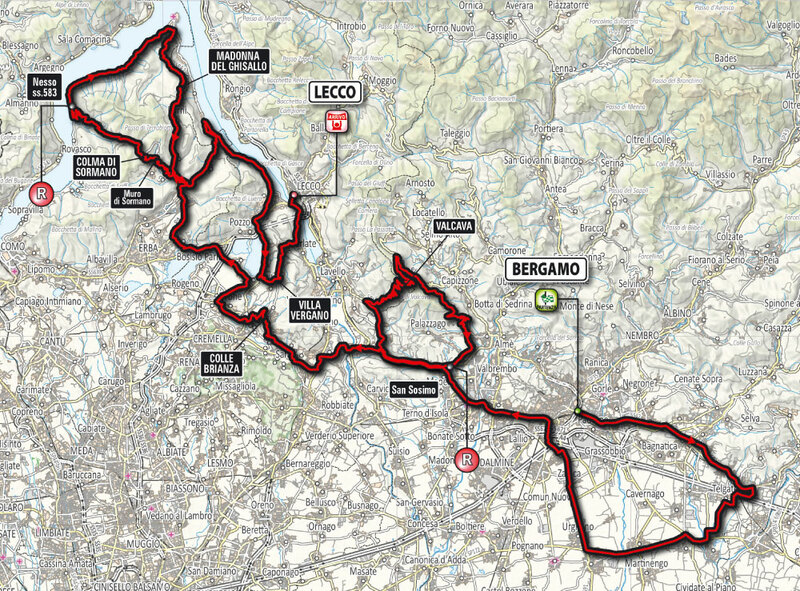 Whatever the weather, the three-kilometre long Villa Vergano is likely to be the decisive point of the race. It functioned as the platform for both Rodriguez last year and for Zaugg’s win in 2011, who both crossed the finish line alone having attacked on its slopes. 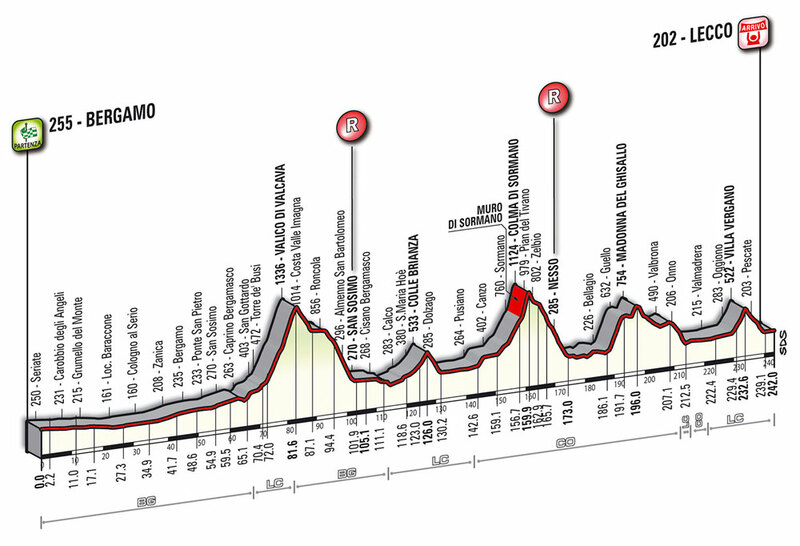 Positioned just 10 kilometres from the finish in Lecco, and containing gradients of up to 15% close to its summit, the favourites will likely wait until this climb to make their moves. The other climbs are too far from the finish to function as platforms for race winning attacks, but are difficult enough to ensure that the field will thin out early on. The Murdo di Sormano (translated as the ‘Wall of Sormano’) is particularly spectacular, having been reinstated in the race last year following a forty year absence. The Muro delights spectators with its astonishingly brutal gradient, which rarely drops below 15% and reaches heights of over 25% over its two kilometre duration. The Madonna del Ghisallo – positioned between the two aforementioned climbs, fifty kilometres from the finish – is less testing, but holds a similarly iconic status in the race.